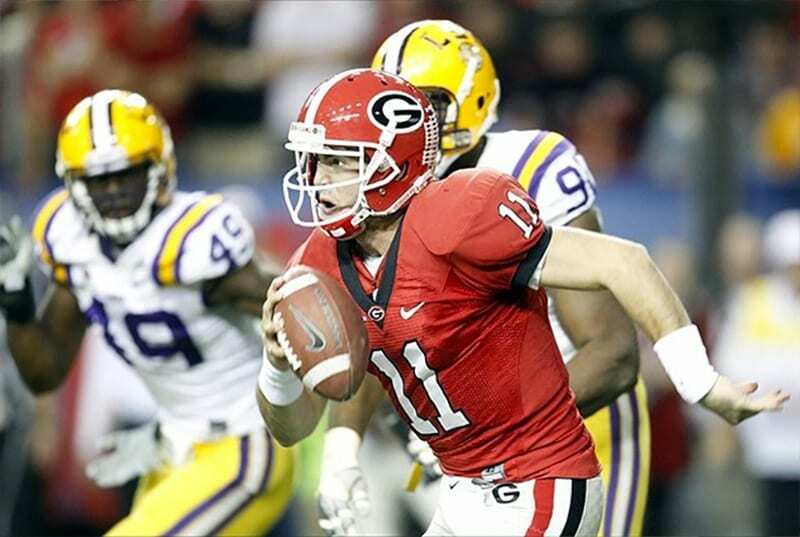 Georgia and LSU will collide this Saturday in a battle of the NCAA football titans. Georgia is undefeated and the second ranked team in the nation. The Bulldogs have really not been tested this season with the smallest margin of victory being 14 points. They have a great run game, ranking 16th in the nation in rushing yards per game and their defense ranks second in the nation, giving up an average of only 13 ppg. While the Bulldogs do not face number one-ranked Alabama this season, this game begins a run of four games facing teams that are currently in the top 25. LSU had legit BCS aspirations this season, but those took a big hit last week after the Tigers lost their first game of the season to Florida. They have an uphill battle to make the SEC title game now and they will likely have to beat Alabama, who they host in the beginning of November. The Tigers are led by their defense, which ranks tied for 15th in the nation in points allowed. This season Georgia is 6-0 SU with an ATS record of 3-3 and an O/U record of 2-4 and LSU is 5-1 with an ATS record of 3-3 and an O/U record of 4-2. The Road team is 3-0-1 ATS in the last four games between these teams. These teams have not met since the 2013 season. In their last game Georgia had another blowout win beating Vanderbilt 41-13. They racked up 560 yards with 219 rushing yards and Vandy had 321 yards. Jake Fromm was 17/23 passing for 276 yards with three touchdowns and no interceptions and six players had at least 40 receiving yards. Three players had at least 50 rushing yards led by Elijah Holyfield with 64 yards on only six carries. Holyfield lead the Bulldogs with 432 rushing yards this season and the team has five players that have at least 133 yards on the ground. LSU ranks 59th in the nation in pass defense and while they rank a solid 27th in the nation in run defense they gave up 215 rushing yards in their last game. LSU dropped their first game of the season in their last game losing to Florida 27-19. They had 19 more yards than the Gators (391-372), but they had three turnovers and only forced one and they were outscored 13-6 in the 4th quarter. In the Florida game Joe Burrow did pass for 192 yards, but he did not have a touchdown and he was picked off twice. Nick Brossette led the team with 95 rushing yards with two touchdowns and he averaged 6.3 yards per carry. The two interceptions by Burrow were his first of the season. Brossette leads LSU with 576 rushing yards this season and Clyde Edwards-Helaire has 330 yards on the ground. Brossette has not rushed for over 100 yards since the 2nd game of the season and in his three previous games to his last one he failed to average more than four yards per carry. He and the LSU offense will be going up against a Georgia defense that ranks 20th in the nation defending the pass and 13th defending the run. Georgia is hitting its tough stretch of the season and will begin it with a road win in this game. The Bulldogs will have a good game running the ball and their defense will do a good job keeping LSU out of the end zone. Georgia will not win in a blowout, but it will win and cover the spread as well.